NEW PATIENTS RECEIVE 15% OFF FIRST ORDER WITH THE OPTICAL! At the Museum District Eye Center, our entire Houston eye doctor team is dedicated to educating you about all your eye health concerns! Led by Charles A. Garcia, M.D., we work with people from all over the greater Houston area who are looking for effective and affordable eye care services. Astigmatism and other types of refractive errors: if the shape of your eye, lens, or both are abnormal for some reason, then light entering the eye may not focus appropriately on the retina. This is seen in conditions such as astigmatism, nearsightedness (myopia, where distant objects appear blurry), and farsightedness (hyperopia, where nearby objects appear blurry). Age-Related Macular Degeneration: the macula is the center of your retina (a thin tissue containing specialized cells to help you see). In some people, this spot can start to deteriorate over time and lead to central vision loss, either due to an overgrowth of small yellow deposits behind the retina or small leaky blood vessels behind the retina. Treatment may include medications, nutritional recommendations, and laser-assisted surgery. Cataracts: a cataract occurs when the lens inside your eye becomes cloudy due to structural changes with the proteins that make up the lens tissue. This is often due to a combination of factors including smoking, age, UV radiation exposure, and can cause blurry vision and the appearance of halos around bright lights. Large cataracts can be surgically removed and replaced with a lens replacement. Dry Eye: dry eyes tend to feel red, irritated, itchy, and watery, and occur when your protective tear film is impaired. This can occur due to conditions including allergies and Meibomian gland dysfunction. Glaucoma: Glaucoma is progressive damage to the optic nerve, and is often associated with increased inner eye pressure. Medications and surgical procedures to restore inner eye flow may help. 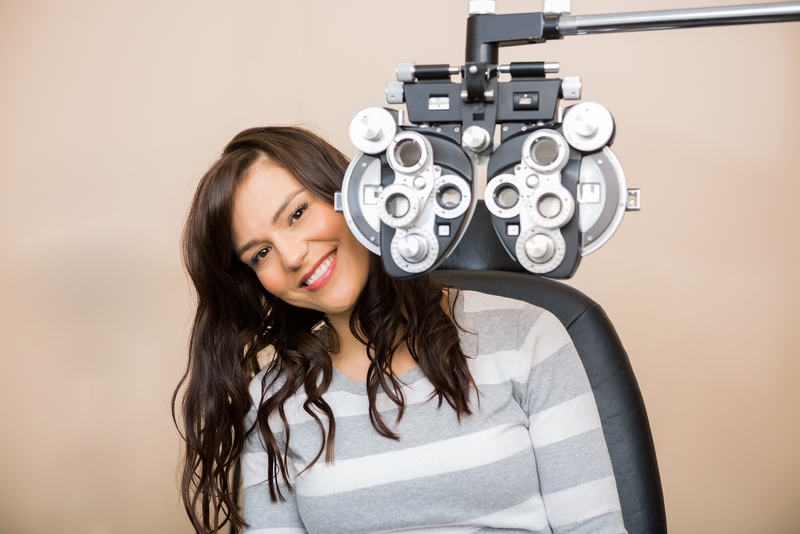 We'll thoroughly review your family and past medical history, utilize a variety of advanced services to evaluate your eyes, and identify other factors which may be contributing to your condition. Based on this information, we'll offer a diagnosis and individualized treatment plan to maximize your eye disease management and get you seeing better as soon as possible. If you're looking for an ophthalmologist or optometrist in Houston TX, contact the Museum District Eye Center at 713-333-0151 and schedule an appointment at one of our many locations.